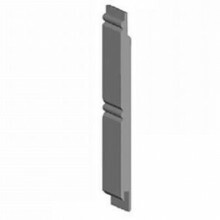 An Alternative to Drywall that Looks Great in Cottages with a V-Groove or Nickel Gap. 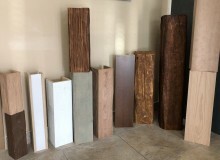 Due to there expandability and flexibility, MDF Planks are the perfect alternative to drywall in the building of a Muskoka or Coastal Cottage. In extreme weather, drywall tends to expand, contract and separate, while Planks will move, allowing for expansion and contraction through summer and winter. The inter-locked tongue and groove combined with the ½” or ⅝” thickness is more than enough to keep these planks from sagging. 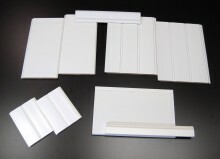 These Planks or Wallboard, have been designed to replace drywall. 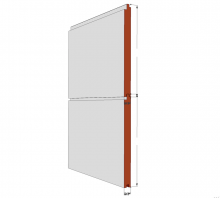 If the drywall is existing, you may want to consider thinner, "Ship Lap Planks" as they can be fastened or glued and sagging will not be an issue. Save on the Cost of Drywall Taping, Mudding and Priming! 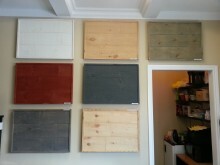 They look great on walls, the sides of staircases and on ceilings. The advantage of using MDF is that there are no cracks and no knots to bleed through the paint. 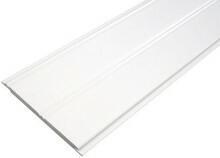 These Planks, or the Shiplap version, are often used for wainscoting and included in our Beadboard / Wainscoting Kits. 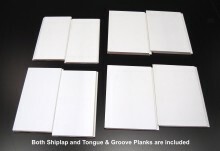 Our MDF V-Groove Planks have a deep "V" groove often found only in tongue and grooved planks ¾” thick . We not only made the "V" groove deeper but we made the "tongue" thinner. 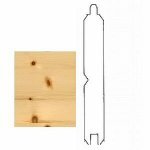 While other manufacturers may have problems shipping a profile this delicate, our many years of experience in shipping nation wide has taught us how. For ceilings, just calculate square footage. Depending on the length of your room, seams or joints should be taken into consideration. You have several options when it comes to exposed joints: bevel the ends 3/16” and stager the planks just like hardwood flooring, or add some shaker style beams to the ceiling and have a joints hidden by the beams. This not only hides the seams but adds a unique architectural detail. New for 2017, we have introduced Nickel Gap Planks. 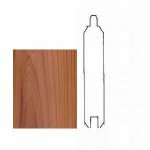 We mill the boards perfectly so you will not need a stack of nickels to space out the boards like carpenters did years gone by.